We specialise in the supply and fitting of new Garage Doors, Electrically Operated Systems, and Electric Roller Shutter Door Systems. A Canopy Up and Over Door is the Most Common Door to be sold in the UK. This is mainly due to its low cost and simplicity for fitting. 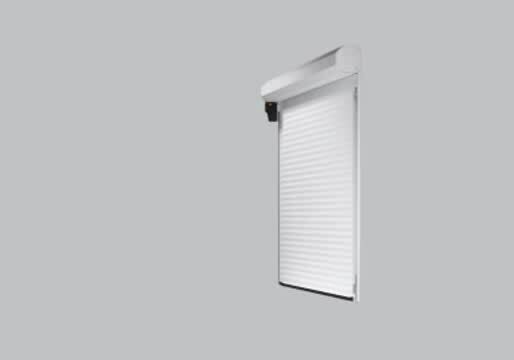 This as well as the fact they are very secure and reliable and take up very little space make it the ideal solution to most Garage Door requirements. 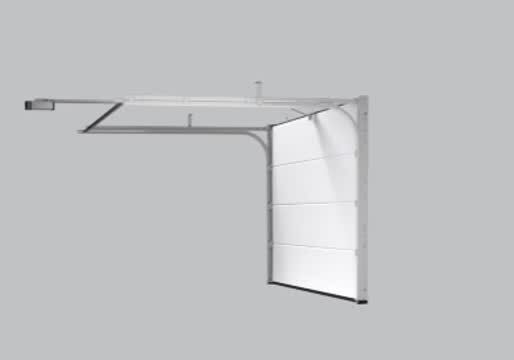 The Disadvantages of a Canopy Door are that they are not ideal for Electric Operation, require a little more headroom than a Retractable Door, and the cable design can also give you more problems if the Door is mistreated. There are many advantages of having a Retractable Up and Over Door. They are reliable, secure, suitable for ElectricOperation and also available in many styles and designs. 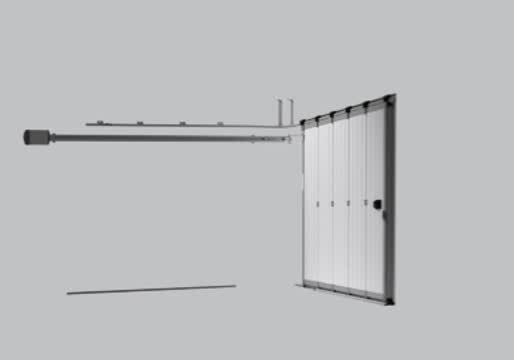 There are only a few drawbacks to a Retractable Door, these include; the fact they swing out when opening, the track systems takes up a lot of room in the garage and the link arms pivot in the opening reducing the maximum drive through width slightly. 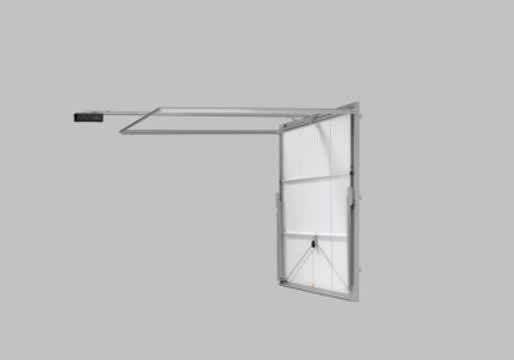 Retractable Plus Gear is very similar to the Retractable Gear and carries many of the same advantages and disadvantages. The only real change is that the specially designed pivot arms and bottom spring brackets have been changed to allow maximum use of the clear passage. This gear option is available in sizes up to 9 foot (2743mm) wide. Sectional Garage Doors really are theNumber One for Safety, Security, Thermaland Wind Insulation, Practicality, Longevity, a fantastic modern look and they come ready to be made Electrically Operated. They also come in a wide range of Designs and can be specially ordered in any RAL colour of your choice. As good as a Sectional Garage Door is there is of course some drawbacks, they require more headroom and side room than an Up and Over Door and also the tracking system takes up a a lot more room than any of the other Garage Doors that we supply. They also take longer to fit and assemble, but still if you have the space for one, they are one of the very best Doors on the market today. Roller Shutter Doors have many benefits. The biggest of which is a tight seal to the floor and sides to help keep the weather out, a space saving design as they only take up the space required for the roll which is approximately 300mm and a modern looking design perfect for both old and new homes. Roller Doors are also available in a range of standard colours for no extra cost which is perfect if white just isn't for you!! The Disadvantages of our Roller Shutter Doors are that they come with Electric Operation as standard, they take up a lot of headroom in the garage, so if you don't have much you may not be able to have one. Also although they are insulated, they don't have the Thermal Insulation Qualities of a Sectional Door and they also are not quite as robust as some of the other Garage Door options. The Drawbacks to our Side Sliding Sectional Doors are that they require a good amount of side room to retract in to, which can be a problem in a smaller garage. Also they have to beable to come in the full length of the Garage, which in a double door can be an issue. Otherthan that they are a very strong and reliable product.